Stencyl supports the creation of native, standalone apps for Windows, Mac and Linux. These apps feature hardware accelerated graphics and consequently, better performance than their web or mobile counterparts. Note: Publishing desktop games is a paid feature. Purchase a license to access this functionality. We recommend Visual Studio 2013 for best results. The free editions are fine. You can either install Visual Studio on your own, or if you attempt to run a Windows app from Stencyl, we’ll download the Visual Studio installer for you and then ask you to run it. We'll assume the latter. After opening up a game in Stencyl, select Run > Windows from the main menu. Stencyl will download the Visual Studio installer to your system. After that finishes, run the installer. Once you install Visual Studio, you’ll need to reboot your computer for Stencyl to recognize it. To test your game, select Run > Windows from the main menu. This step may take a while. You may find it useful to turn on the Log Viewer (View > Log Viewer) prior to running to see what's going on and catch any unforeseen errors. To publish your game, select Publish > Desktop > Windows from the main menu. This will export your game as a ZIP containing an EXE and the resources associated with the game. Note: We don't support exporting the game to a single, bundled EXE. We tried to wrap them in the past using free solutions, but they were (wrongly) flagged by AV software, so we discontinued that experiment. If you must wrap an EXE, you can use a thid party utility such as Molebox to do this. If you don't have Xcode, install it from the Mac App Store. 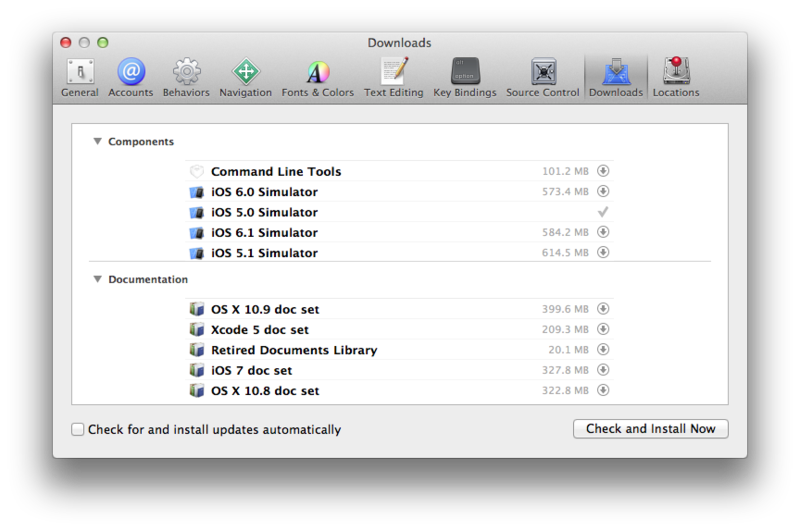 Launch Xcode, go to its Preferences, flip to the Downloads Tab and install Command Line Tools. If you are publishing to the Mac App Store, you must set up your App on iTunes Connect. To test your game, select Run > Mac from the main menu. When publishing for Mac, you have two options. You can publish for the Mac App Store (.PKG) or export the game as an App Bundle (.APP) for providing on a personal website. If you are publishing to the Mac App Store, view our dedicated article on that process. If you are publishing an App Bundle (.APP), you can do so by selecting Publish > Desktop > Mac from the main menu. Note: We’re not Linux experts, so if you run into issues or have edits to propose, please submit a pull request on Github. For additional tips, visit our Installing on Linux article. All standard build tools such as gcc/g++ should be installed. Run sudo apt-get install ia32-libs-multiarch gcc-multilib g++-multilib to fetch those build tools if you are unsure. On Ubuntu 12.04 or better? Run sudo apt-get install gcc-multilib g++-multilib instead. To test your game, select Run > Linux from the main menu. To publish your game, select Publish > Desktop > Linux from the main menu. Can I publish a Mac app from a Windows computer? No. You’ll need to use a friend’s Mac or figure out other ways to do this. The same goes for any “cross” platform combination. You can only publish to the platform of your host computer. Can I publish to the Mac App Store? Yes. We have an article on that. How about the Windows Store? You can, but we don't directly export to a Windows Store ready format. You'll need to wrap the app up on your own. I just installed Visual Studio, but Stencyl claims I didn’t. Reboot after installing Visual Studio. "I just installed Visual Studio, but Stencyl claims I didn’t. Reboot after installing Visual Studio. " I did and it STILL didn't work. Is this article updated yet? Or there's a new address? how do i make it from a .stencyl into a .app? "Error could not save recourse listing"
When ever I try to make a game. Hi Jon (and others). I would like this document to clarify something for Linux. Specifically, "Ubuntu 11" and "Ubuntu 12" makes no sense. While it may seem that Ubuntu follows the traditional major_release.minor_release scheme, the version numbers are actually year.month, so there can be as much dfiference between 12.04 and 12.10 as there is between Stencyl 2 and Stencyl 3. Please clarify your instructions with actual Ubuntu versions. Heads Up: We're rewriting this article for 3.0 since none of this process applies in the new version. I'm still getting this after trying to manually install the adobe air sdk and replacing the files. I tried in the beta version and the regular version and have tried reinstalling and am still getting this issue. the following page may help"
I've clarified that point to say that those paths are relative to your Stencyl install directory. It's simply a copy -> paste of the entire folder.